Dark chocolate strawberry tarts have the perfect combination of fruity strawberries and rich dark chocolate. 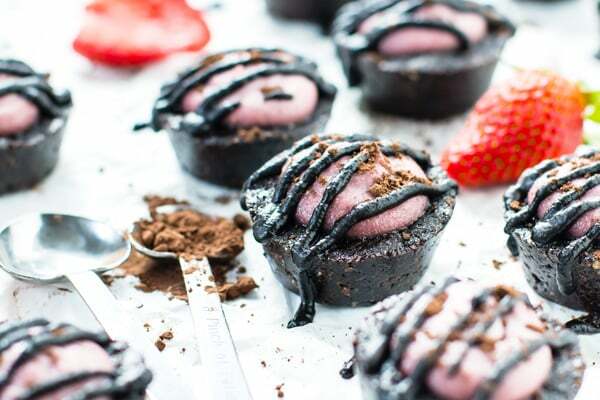 These chocolate strawberry tarts are gluten-free, vegan, and dairy-free — making them a super healthy chocolate dessert! 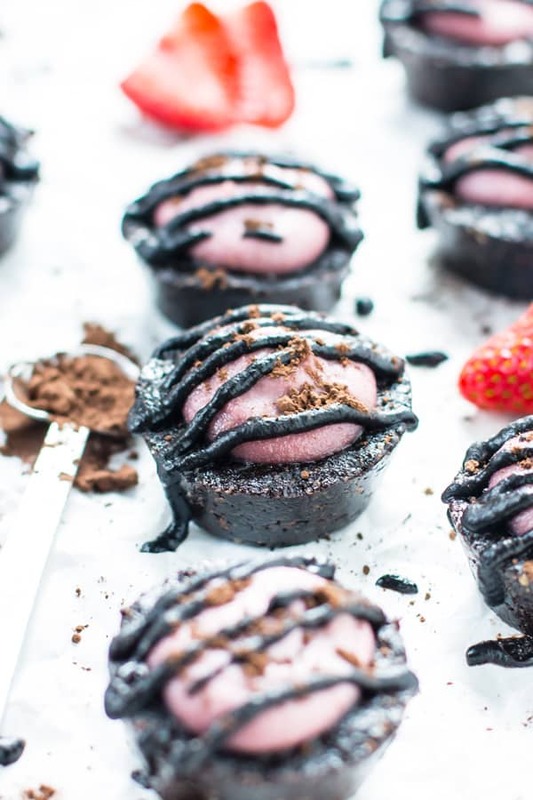 I promise I will talk about these decadent and super healthy dark chocolate strawberry tarts. But first, can we be real with each other? Valentine’s day is vastly approaching. A day that is chock-full of mushy gushy cards, roses, heart-decorated-everything and chocolate strawberry tarts if you’re in my house. Some recent life events have truly opened my eyes. Opened my eyes to see the beauty that lies within each and every single one of us. We as women have been uniquely crafted with hearts that care and compassionate spirits. We have the ability to laugh, cry and even rant with anger – acting as true chameleons in an attempt to assuage our fellow sister. This is such a beautiful thing. Over the last few weeks, I have learned the value of having so many incredible ladies in my life. Ladies that will be there for you at the drop of a hat, no matter what they are doing. Do you have girls like that in your life? Are you that kind of girl to your friends? This is not some liberal, girl-power rant, and by no means am I telling you to “forget the boys! !” My hope is to encourage you to remember your girls. So back to these ahh-maaaazing and oh so healthy chocolate strawberry tarts. In an attempt to eliminate the oh-so-addicting refined sugar, I have been making quite a few naturally sweetened treats. They taste good and are actually pretty darn good for you. These healthy chocolate strawberry tarts are sweetened with honey (or maple syrup if vegan), full of healthy almonds and gluten-free oats, and bursting with fresh strawberry flavor. Stopping at just one is kind of impossible. 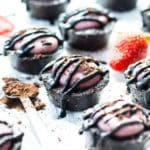 While these chocolate strawberry tarts may take a little work to form and shape them into cute little bite-sized tarts, they are totally worth the time! They will keep for up to a week in the refrigerator, and can even be frozen if you want them to last longer. Dark chocolate strawberry tarts have the perfect combination of fruity strawberries and rich dark chocolate. 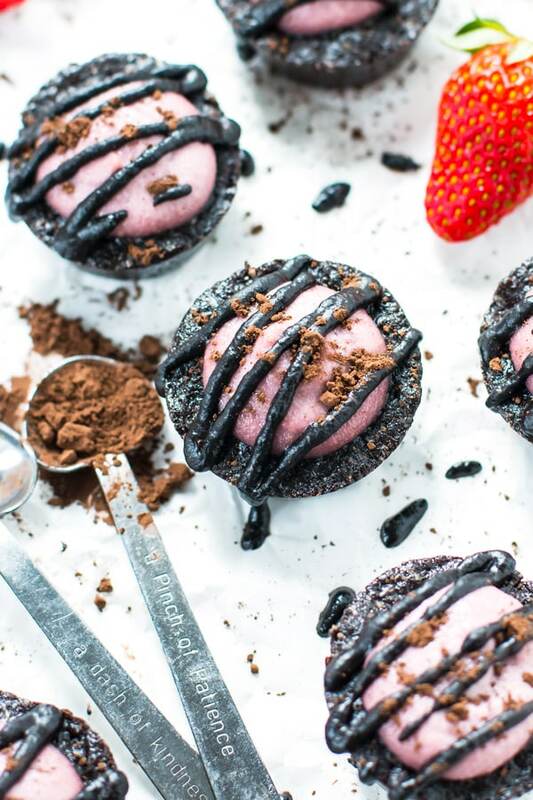 These chocolate strawberry tarts are gluten-free, vegan, and dairy-free -- making them a super healthy chocolate dessert! In the bowl of a food processor combine cocoa powder, oats and almond meal. Process for 1 minute, or until a fine powder forms. Add dates and process for one more minute. Add remaining chocolate crust ingredients and process for 1-2 more minutes, or until mixture begins to stick together. Firmly press ~2 tablespoon balls of dough into mini muffin cup cavities. Form a well in the center of each with your fingers. Place in refrigerator until ready to use. Place soaked cashews in the bowl of the food processor. Process for 2 minutes. Add remaining strawberry filling ingredients and puree for 5 minutes, scraping down the sides of the bowl every 30-60 seconds. Strawberry filling should be completely smooth. Pipe strawberry filling into the chocolate crust. Refrigerate until ready to use again. Combine chocolate glaze ingredients in a small bowl and whisk to combine. Drizzle chocolate glaze over strawberry filling. 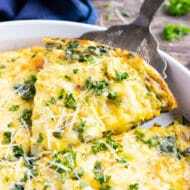 Refrigerate for at least one hour and between servings. ** Enjoy! *Can also use maple syrup or agave nectar if vegan. **These tarts should be stored in the refrigerator. Tarts will keep for up to one week if properly refrigerated. 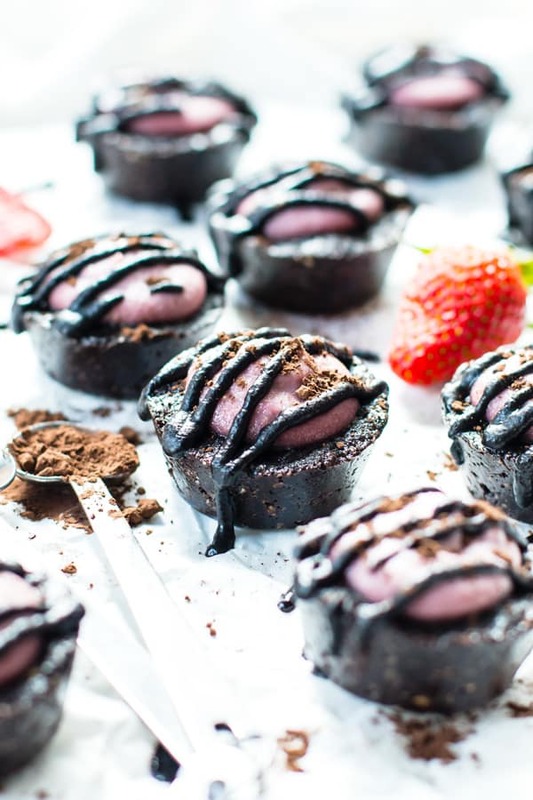 Want more recipes like these Healthy Dark Chocolate Strawberry Tarts?